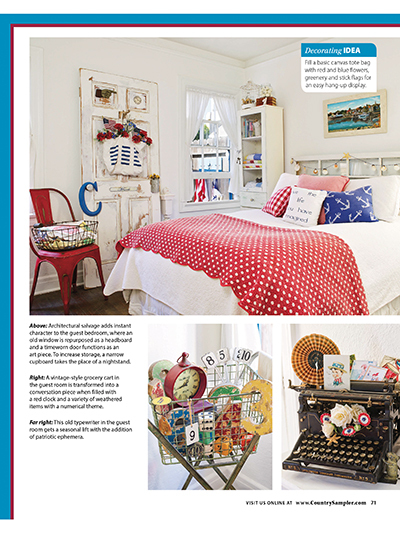 Bring the relaxed, celebratory style of summer home with the all-American displays and spirited rooms sparkling with creative verve featured in our July 2018 issue! 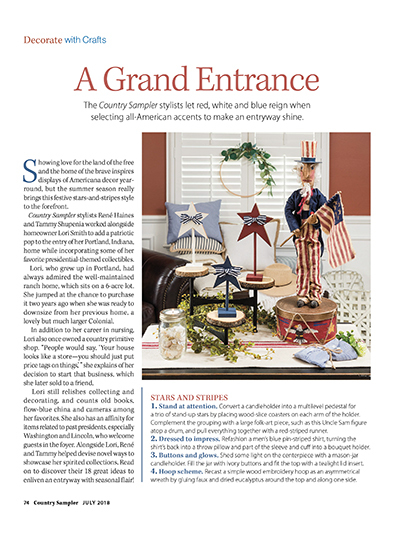 Tour four unique country homes, plus a colorful outdoor living space—bursting with fresh decorating inspiration—and gather ideas for creating a patriotic statement in your entryway in our Decorate with Crafts feature. 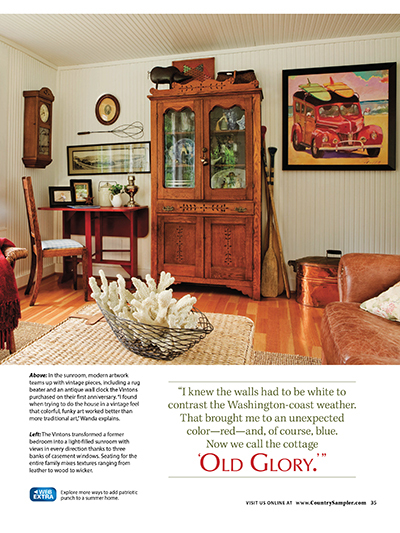 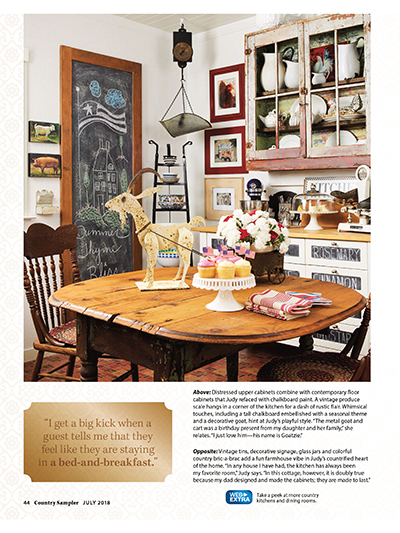 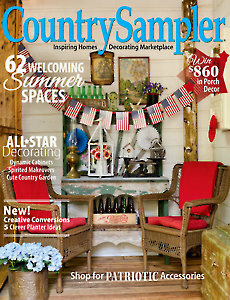 You'll marvel at the unexpected ways to contain plants in Creative Conversions, adore the festive and frugal party decor shared in Thrifty Thinking, enjoy the varied and versatile decorating accessories in Country Treasures, and glean interesting facts and figures about noteworthy antiques in Antiques Q&A. 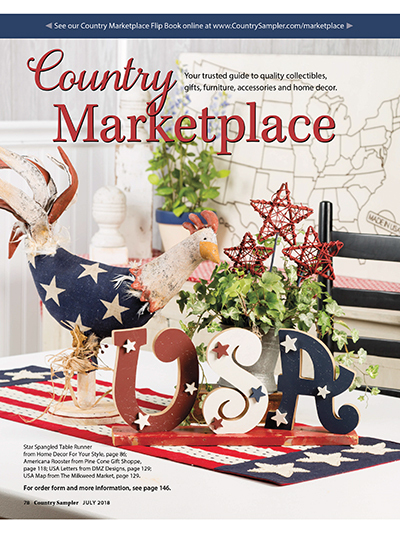 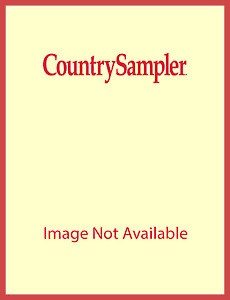 Plus, you’ll love browsing our Country Marketplace for the latest in country furnishings, decor, gifts and more!